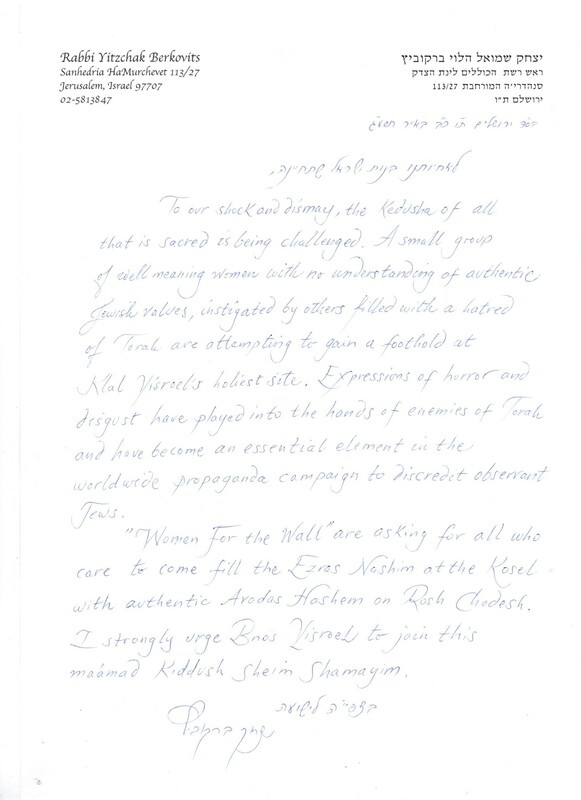 I have seen the letter of Harav Yitzchok Berkovitz endorsing the efforts of “Women for the Wall” to counteract the chillul Hashem and distortion of Torah presented by the women who present themselves at the Kosel every Rosh Chodesh to promote their reform leftist agenda with very vocal confrontations. I assume that the presence of true Bnos Yisrael who appreciate and respect the Kosel and the true mission and importance of Jewish women will overshadow the aberration the others represent. I also assume this protest will be silent, refined and respectable as is befitting true Bnos Yisroel. 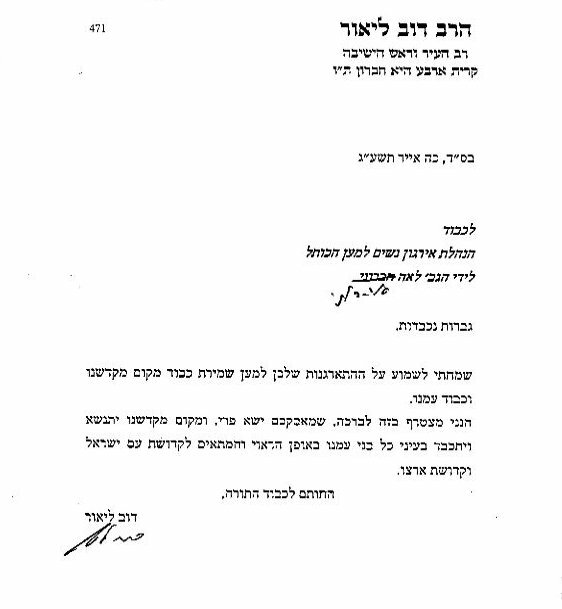 As such I urge any women who can attend to do so and be Mikadesh Shem Shomayim Birabem.